COLOMBES, Frankrijk – (BUSINESS WIRE)- IDEMIA, de wereldleider in Augmented Identity, is geselecteerd door dtac, de toonaangevende mobiele operator in Thailand, om connectiviteit op eSIM aangesloten horloges aan te bieden. IDEMIA’s Subscription Management platform (of remote SIM provisioning) is de technologie die op afstand de ingebouwde SIM van een smartwatch verbindt met het netwerk van dtac zonder een fysieke SIM-kaart te plaatsen. COLOMBES, France–(BUSINESS WIRE)– IDEMIA, the global leader in Augmented Identity, has been selected by dtac, the leading mobile operator in Thailand, to offer connectivity on eSIM connected watches. IDEMIA’s Subscription Management platform (or remote SIM provisioning) is the technology that remotely connects the embedded SIM of a smartwatch to dtac’s network without inserting a physical SIM card. Indeed, the IDEMIA Subscription Manager is a server which securely manages the lifecycle of mobile subscriptions and profiles for eSIM-ready consumer devices and wearables. This solution is compliant with the latest GSMA (Global System for Mobile Communications Association) standards to ensure global interoperability and, thanks to the scalability of the platform, the operator will be able to serve up to millions of customers during peak times. 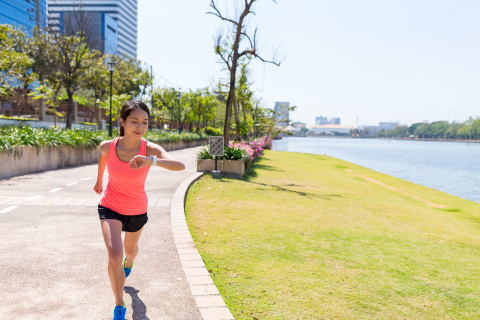 dtac subscribers now have the possibility to stay connected to the dtac network on their eSIM connected watch when they are away from their mobile phone. IDEMIA’s solution is scalable to support dtac to meet changing consumer market trends, as the rollout of eSIM devices continues to grow. According to Thailand’s National Broadcasting and Telecommunications Commission (NBTC), it showed that Thailand mobile penetration stood at around 170% of Thai population, which means that more than half of Thais own at least two numbers a person. It is clearly seen that the landscape has changed significantly, reflecting the needs of convenience from customers. “We are very honored to have been chosen by dtac to manage remote subscriptions to connected devices and to empower their customers with mobile connectivity. Our solution offers the most efficient, secure and transparent technology possible to serve the connectivity needs of dtac and to deliver a seamless experience to their subscribers”, said Fabien Jautard, Executive Vice-President for Mobile Operators activities at IDEMIA.